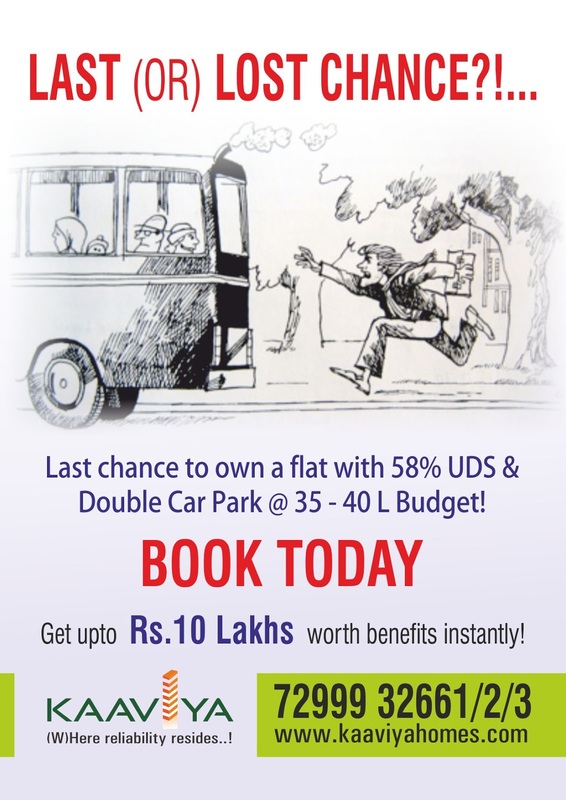 Home > New projects - Chennai > Kaaviya Homes, Chennai - Double Car park is Now Triple Car Park! Kaaviya Homes, Chennai - Double Car park is Now Triple Car Park! More than 80% of our buyers didn't have a car while buying our flat, Now, more than 80% of them own a car and more than 35% of them using double car parks effectively by going for second one / keeping their visitors cars also inside! We predicted this demand in 2008 itself!